​Enjoy the art and heritage of the town as well as the paved trails through Dry Canyon, a nature preserve between steep canyon walls. This north section of the Deschutes River Trail includes a few moderate hills. Along the middle stretch, the river drops into a deep canyon while the trail stays high on the canyon wall, offering spectacular views of the river below and of the Cascades. How to get to all of the walks starting from Bend. ​A sanctioned group walk on Friday, September 13th, will lead those who are joining the non-sanctioned whitewater rafting trip to the launching site at the proper time. We return by shuttle. Those walkers who do not wish to ride the river, may do the walk as a regular event walk. Reservations for the rafting portion may be purchased here on our site along with the other events, souvenirs, dinner, etc.. The walk will begin at Seventh Mountain Resort. For information about the whitewater rafting trip, please click here. Explore the downtown core area, Drake Park and Mirror Pond. A forest walk that includes huge larch and old-growth ponderosa, and several footbridges along Tumalo Creek. Several distance options depending upon level and how many waterfalls we want to see. Passing waterfalls and crossing streams until arriving at an alpine lake (15km). Option to circle the lake before returning. 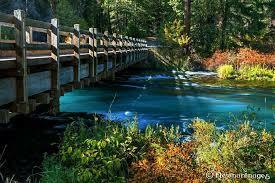 Visit the head of the Metolius where the river mysteriously emerges out of the ground. From Wizard Falls Fish Hatchery, circle a pond of large trout before starting along the bank of the Metolius River with its clear, brilliant blue water. Explore the resort laced with paved trails through the Village (shopping, food), lodges, and homes. You may even enjoy visiting the Nature Center ($7). 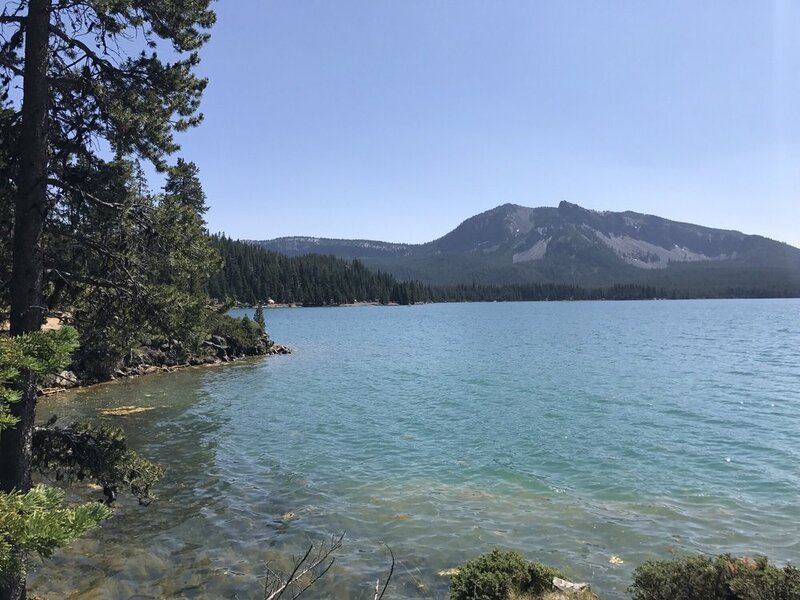 This trail is a moderately difficult hike located within the scenic Newberry Volcanic Monument area. Elevation is at 6,350' at the trailhead start. This forested trail circumnavigates the lake, mostly flat with some uphill sections. A walk through juniper and sagebrush to a rocky rise with a spectacular 360-degree view of the surrounding mountains. An out/back starting at the observation point of the head of the Metolius River and going to Wizard Falls Fish Hatchery. An out/back, starts at the Shilo, passes through Sawyer Park, and then onto the Deschutes River Trail. To swim at this event, buy a discounted ticket from the Central Oregon Salute start location and then go anytime to the swim center to do a 300-meter swim. You can choose to do 12 laps in the 25-meter indoor pool or 6 laps in the 50-meter outdoor pool. If you want to check which exact lanes are available, go to bendparksandrec.org/fitness-swim/open-swim/lap-swim/. While at the facility you can also use their fitness/weight room, hot tub, sauna, steam room, and of course the lockers & showers.